Agenda: Final meeting of the semester. Summer meetings are TBA (To Be Announced), check the website for further announcements. Have a great summer! Overview (Description from Wikipedia): During one of the many monster attacks on the city where the story takes place, Silk Koharuno and her two friends attempt to get closer to the monster to get a better view. Unfortunately, the city's protector, UFO-man, comes to the rescue but inadvertently steps on them and crushes the girls to death. Feeling sorry for what he had done, UFO-man blames their deaths on the monster and promises to bring them back to life by lending them his power. However, now they must become the city's protectors as well. Agenda: Only one meeting left this semester! The last meeting will be officer’s choice. Overview (Official Description): Lodoss, The Accursed Island! Born in battle, baptizzed in fire, its kingdoms have been ravaged by war for thousands of years. Now, an evil stirs, an ancient goddess of destruction awakened by an evil wizard. A party of six is forged to defeat this threat, or die in the attempt. Join Parn, the young fighter, as he leads his warriors into the heart of a land where dragons rule and evil holds sway over the earth. Six swords are now drawn against this darkness. 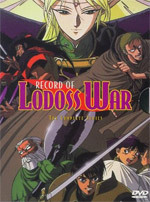 The war for Lodoss has begun! Agenda: Only two meetings left this semester. Overview (Official Description): Ten years ago, an unspeakable disaster shook the world and endless devastation rained from the heavens. From the ashes of that tragedy rose the city of learning, Academia. A young girl named Kuu attends one of the city's many schools, unaware that the fearful disaster only marked the beginning of the struggles to come. 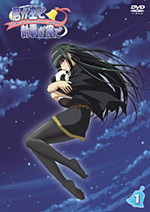 When a series of people go missing and a mysterious transfer student named Kyoshiro joins her class, Kuu's life is turned upside down. She soon finds herself locked in a conflict with the Absolute Angels, a group of beautiful girls who must feed off of human life force to survive. Wielding god-like strength, they have the power to destroy the world itself. 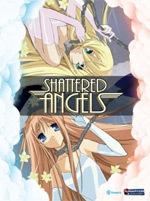 But are these angels truly demons of destruction, or simply innocent girls trapped in a fate they can't escape? Who is Kyoshiro, and why does he look like the prince that Kuu sees in her dreams? In a world of love and betrayal, Kuu must not only find the answers to these questions, but the meaning of her own existence. Show: Due to a lack of members the meeting was held under the Summer Rules and does not count towards the show shown and member attendance. A show was chosen from the available titles with member opinion. Agenda: Thanks to all those who attended the the club picnic! Overview (Official Description): Oraku is a lucky man. He has a comfortable job teaching, Satsuki, a fellow teacher whom he hopes to marry, and Aya, a beautiful student who has fallen in love with him. Aya loves nothing more than to come on to Oraku and lounge around his apartment in scant attire. Unfortunately, Aya's father happens to be a major crime boss, and he will have the hapless teacher slowly murdered if Aya doesn't remain pure. Not only must Oraku restrain himself, but also protect her from the hordes of men and women at school who'd love to get their hands on her body. Of course, if Satsuki or any of the other teachers discover Oraku's new living arrangements he will be permanently dismissed from the teaching profession. Oraku is so very lucky! Agenda: Club picnic is on Saturday. Hope to see you there! 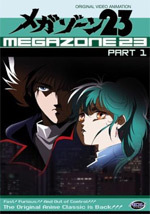 Overview Megazone 23 (Official Description): Teenager Shougo and his friends just want to have fun, but one day one of Shougo’s older friends show up with what looks like a motorcycle but turns out to be much more. Now ruthless men will stop at nothing to retrieve the strange machine. Sucked into a secret world of danger and mystery, Shougo must fight for his survival – and his sanity. Agenda: Tekkoshocon report was given by one of the members who attended. Discussed the club picnic. 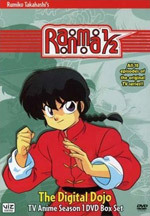 Overview Ranma 1/2 Season 1 (Official Description): It's not easy being teenage martial artist Ranma Saotome, but it's even worse when your martial-artist father Genma takes you from home at an early age to go on a decade-long training mission. He doesn't speak a word of Chinese, and yet he insists upon bringing you to the cursed training ground known as Jusenkyo, where falling into one of the many springs there instantly turns you into whoever-or whatever-drowned there last. And then, the two of you have this little accident. From now on, a splash of cold water will turn your father into a giant panda, while you...well, you turn into a red-haired (and problematically well-built) female version of yourself. Hot water will reverse the effect, but only until the next time. What's a half-guy, half-girl to do? Show: Due to lack of members the meeting was held under the Summer Rules and does not count towards the show shown and member attendance. A show was chosen from the available titles with member opinion. Agenda: Good luck to our members attending Tekkoshocon later this week/weekend! Discussed the club picnic. Refer to Monday March 22nd, 2010 for Show overview. Agenda: Discussed the club picnic. Show: An non-asian title was showed as allowed by the special rules for the meeting. Agenda: Thrusday is the special meeting. Title submission rules will allow any submission that is in the comedy genre (regardless of country of origin). Discussed the club picnic, it will be on Saturday April 17th, 2010. Refer to Monday March 1st, 2010 for Show overview. Agenda: Discussed the club picnic. On Thursday, April 1st we will be holding a special meeting. Title submission rules will allow any submission that is in the comedy genre (regardless of country of origin). Overview Yukikaze (Official Description): Unbeknownst to the general population, 33 years ago, an alien force, the JAM, opened an interdimensional gate in Antarctica to invade the Earth. In response to this threat, the unified forces of Earth formed a military unit to combat these aliens, successfully pushing them back to the planet codenamed: Fairy. Even now, the war still rages on. 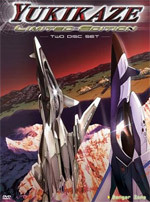 Rei Fukai, a pilot of the elite FAF unit of the Special Air Force (SAF), flies the Yukikaze, an advanced fighter with a near sentinent computer control system. However, the recent infiltration of human disguised-JAM agents has begun to blur the lines between friend and foe. As the SAF's own fighters begin to turn against their own forces, the Final Battle for the skies of Fairy and control of 'the Passageway' to Earth will rest in the hand of Rei, and the only thing he can trust: The Yukikaze. Agenda: Discussed the club picnic, it will be on Saturday April 17th, 2010. Overview They Are My Noble Masters (Description from Wikipedia): Due to family troubles, Ren Uesugi and his sister, Mihato, leave their home. They end up moving to the city but find themselves with a lack of money. Somehow they are able to find work in the form of the Kuonji family's mansion, being employed as servants to the three sisters of the Kuonji family: Shinra, Miyu, and Yume. Being a servant also associates Ren with the mansion's additional servants and the Kuonji sisters' friends. Overview Tenchi in Tokyo (Official Description): Tenchi is moving to Tokyo! 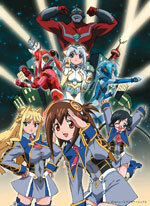 A new life for Tenchi means the end-of-the-world to the alien girls! 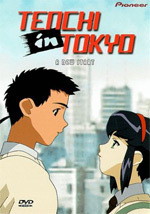 Tenchi Masaki leaves the country to go to Tokyo and to train to be his grandfather's successor as a shrine master. Of course, the girls can't be quiet about their abandonment! Thanks to Washu's new invention, the Inter-dimensional tunnel, a long distance family life starts. Meanwhile in Tokyo, Tenchi is approached by a cute classmate, Sakuya, who doesn't know the risks of being Tenchi's girlfriend. No meetings on March 8th & March 11th due to Spring Break. Meetings resume on March 15th. Agenda: There will be NO MEETINGS on March 8th & March 11th due to Spring Break. Meetings resume on March 15th. HAVE A GREAT SPRING BREAK! Several of our members will be attending C-Con (Lafayette College) this weekend, see you there! The Anime Club Picnic will be on Saturday April 17, 2010. 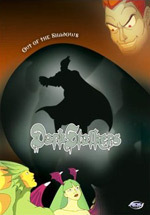 Overview DarkStalkers (Official Description): DARKSTALKERS follows the adventures of a band of supernatural beings known as the DarkStalkers. Although the demon Pyron controls most of their numbers, who populate his army, there is a growing faction of rebel DarkStalkers, led by the merman Rikou, the werewolf Jonathan Talbian, the golem Victor von Gerdenheim, the sasquatch Bigfoot, and his nephew Hairball. As they present a greater threat to Pyron, he sends out some of his most powerful troops to crush the opposition in battles so destructive that they draw the attention of demon hunters that want to destroy all DarkStalkers, good or bad. Agenda: Discussed club picnic later in the spring and siblings day weekend activity. Overview All Purpose Cultural Cat Girl Nuku Nuku (Official Description): When inventor Kyusaku Natsume transfers the brain of his son Ryunosuke's cat into a top secret android body, the family doesn't lose a pet... they gain a daughter! While she may look like a typical teenage girl to the rest of the world, Nuku Nuku's feminine exterior hides the superhuman strength and abilities of the NK-1124 android chassis, making her the most potent fighting force ever unleashed upon an unsuspecting Japan... and the ideal bodyguard for Ryunosuke! But can even Nuku Nuku keep her young charge out of the insidious clutches of the ruthless Akiko Mishima, president of Mishima Heavy Industries (M.H.I. ), financier of the NK-1124 project, Kyusaku's ex-wife and Ryunosuke's mother? The greatest custody battle of all time erupts in a conflagration across Japan as Akiko unleashes the full force of M.H.I. 's military products division, manned by her elite team of Office-Lady Warriors, in her bid to win back Ryunosuke. Show: Due to inclement weather the meeting was held under the Summer Rules and does not count towards the show shown and member attendance. 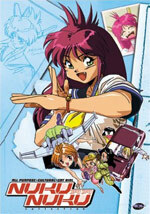 A show was chosen from the available titles with member opinion. Agenda: Beginning in the fall, public members will no longer be able to vote in club officers elections, due to CGA regulations. 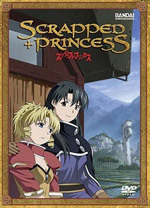 Overview Scrapped Princess (Official Description): Pacifica Cassul is a girl with a destiny. But unfortunately it's not a good one; she is the Scrapped Princess, a girl who, according to prophecy, is the poison that will destroy the world. Naturally, this means that people want her gone. But two powerful people have sworn to protect her- her brother Shannon, whose swordsmanship is impeccable, and her sister Raquel, who is able to wield devastating magic when the mood strikes her. But traveling without attracting attention proves to be very difficult for the outspoken Pacifica, and they soon find themselves in trouble from various sources. Traitorous friends, assassins, and even an operative from Special Forces all stand in their way. But along the way, they'll meet new friends and together will unravel the mystery behind the supposed Armageddon. 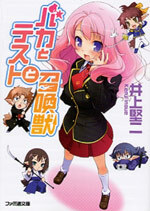 Overview Baka and Test: Summon the Beasts (Official Description): When a fight breaks out at Fumizuki Academy, nobody throws a single punch. Instead, the students utilize the school's technology to summon Avatars, pint-sized stand-ins with battle powers based on academic ability. That "academic ability" part is bad news for Yoshii: he's an idiot, stuck in lowly Class F with the slackers. If these misfits want to escape their dump of a classroom and earn some respect, they'll have to fight their way up the ranks and take on Class A, the Academy's brightest students. It's going to be tough, that's for sure, but once the underachievers of Class F get motivated, they don't give up - and Yoshii can't even spell surrender! Agenda: Discussed all the snow we got and future anime conventions. 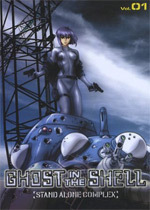 Overview Ghost in the Shell: Stand Alone Complex (Official Description): Major Motoko Kusanagi is a beautiful but deadly cyborg that is squad leader of Section 9-the Japanese government's clandestine unit assigned to battle terrorism and cyber warfare. Surrounded by an expertly trained team, Motoko faces her ultimate challenge - the Laughing Man - a terrorist who orchestrated a kidnapping and extortion plot many years ago and has suddenly reappeared. In order to discover the identity of this enigmatic criminal, Motoko and Section 9 are drawn into a deadly labyrinth and they ll have to use all their expertise to survive. Agenda: Discussed future anime conventions. Overview House of Fury (Official Description): Teddy Yu is a former secret agent turned chiropractor who thought he left his past behind. He teaches martial arts to his two kids. However, his past catches up to him as a rogue agent demands to know the whereabouts of an agent known as Dragon. Now, father and children must team up to stop the rogue agent and his goons. Agenda: Congratulations to the new officers for 2010-2011! President: Kristopher (Longboat), Vice President: Ryan (Powerdolphin), Secretary: Rocio (Roxy), Treasurer: Amanda (Munchkin). Show: Due to lack of members the meeting was canceled. Agenda: Thanks for all those who attended the the Film Fest! Elections are on Thursday. Discussed video gaming and the club library. 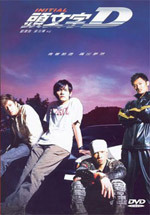 Overview Initial D (Live-Action Movie) (Official Description): Takumi Fuijiwara, a high-school kid delivers tofu every morning for his father Bunta. During his daily delivery, Takumi unknowingly sharpens up his racing skills by speeding through notorious racing spot Mt. Akina, where some of Japan's greatest street racers venture for glory. After Takumi accidentally bests Night Kids leader Takeshi Nakazato on Akina's downhill, he begins to attract the attention of other street racers. But Takumi is more than just another wannabe racer. Years of delivering tofu in his father's Toyota AE86 Trueno have made him an incredibly skilled driver, and not even Takumi really knows just how good he is! Agenda: See you at the at the Film Festival on Sunday! Overview Serial Experiments Lain (Official Description): We're all Connected...There is the world around us, a world of people, tactile sensation, and culture. There is the wired world, inside the computer, of images, personalities, virtual experiences, and a culture all of its own. 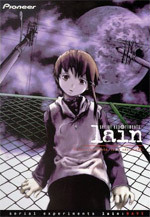 The day after a classmate commits suicide, lain, a thirteen year-old girl, discovers how closely the two worlds are linked when she receives an e-mail from the dead girl: "I just abandoned my body. I still live here..." Has the line between the real world and the wired world begun to blur? Agenda: Discussed future anime conventions, the buying of bulk Japanese products for club fundraisers, CGA budgets, club library, and the Film Fest. 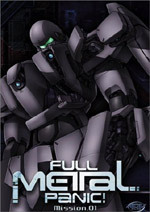 Overview Full Metal Panic (Official Description): On the surface, Kaname Chidori appears to be a normal, popular high school student. The problem is, she doesn't realize just how popular she is. Unbeknownst to her, a group of terrorists believe she possesses the special powers of "the Whispered," and they're out to kidnap her. Enter Sousuke Sagara, a young, hotshot agent from the stealthy anti-terrorist organization Mithril. Will he be able to protect Kaname without her finding out what's really going on? Or will he just drive her crazy as he tries to fit in as her awkward, gung-ho, war-crazed classmate? Agenda: First regular meeting of the semester. Welcome to our new/old home in Bakeless 107! Discussed Setsucon and Website updates. 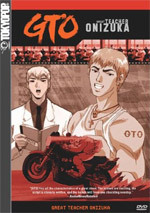 Overview GTO - Great Teacher Onizuka (Official Description): Former juvenile delinquent Onizuka finds himself thrust into a role of high school teacher, facing students who behave just as he used to and an administration that doesn't trust him. Using the brash and unorthodox methods he picked up in his youth, Onizuka manages to reach through to his kids and help them with their problems.